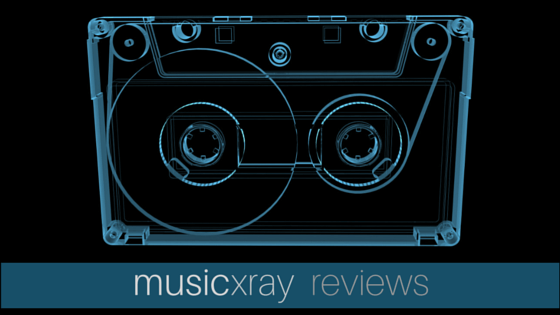 Recently I had a few conversations about Music Xray success stories and bad reviews. One musician had good things to say, another not so good. Either way I thought I would share their reviews and success stories. Plus throw in a few of my own experiences. “I started writing songs 30 years ago and it has been a fun hobby and an enriching outlet. 2 years ago, my closest childhood friend was diagnosed with ALS. Immediately, I knew that I could turn to my trusted friend, songwriting, to help me cope. I wrote the best song I ever had in tribute to Tom. A few months later, I met a local band at a party and during a conversation, my song for my friend came up. They offered to help me record it (in a garage studio) so I could share it with Tom. It turned out so well that they convinced me to try to do something with it commercially. And the not so good. “I signed up with music X-ray over two years ago and I’ve stopped using their services for two reasons. I started out pretty excited about their site as well. 1) I discovered that WOA Records is a label looking for artists on music X-ray. If they are on there then I know that music X-ray doesn’t do their research about who they are affiliated with. WOA records scammed me out of a lot of money. If you google them with the word “scam”, you will find other stories as well. 2) When you apply for something and pay, music X-Ray says that it could take any amount of time for them to get back to you with a response. There are labels, licensing companies, etc, that I paid to apply for through them over a year ago and I am STILL getting emails saying “we’ve just reminded this person about your application”. Those companies can simply sign up and take your money and never be accountable for not getting back to you. As far as my experience with Music Xray, I have a little bit in common with both artists above. I received extra consideration from Zac Brown Band and Tim McGraw for a song – that honestly, I was surprised to get any action on (ya never know I guess). That felt good for a couple days. Also, I did try their Fan Match feature. It resulted in 19 mailing list sign-ups and $4.00 in tips (if people like your stuff they tip real cash). But I had a situation like Stephanie where I paid for an opportunity and never really got any feedback other than “we’ve reminded this person..blah, blah, blah.” You’d think that be and easy fix wouldn’t you? Maybe have an escrow type thing where the money is held until the vendor delivers (kind of like Elance). Overall, I am not a huge fan of paying to submit music. But it doesn’t mean I don’t think paying to get our music heard and critiqued by the “right people” works. Its clearly not for everyone but there is only one way to find out. Go check it out yourself. Do you have experience with MusicXray? If so, share below. I’m still on there but I haven’t done anything with it for several years after I paid them to submit to their list so that my songs would be visible on the site. I sent several contact e-mails about it and never heard a thing. I’ve heard other artists say that they believe some of the calls are real and others are not. I say, don’t feed the sharks!!! We take this stuff very seriously. We’re here to contribute to building a better industry. Bill, thank you for sharing. Thank you for stopping. I really appreciate that you are proactive, willing to listen and willing to meet criticism head on. Speaks volumes. Just to add on this matter, I am a member on Music Xray, for a few years now. All what Mike is saying (as far as I am concern) it is true. I never had any bad experience with Music Xray and I would strongly recommend it to other artists to try their luck regarding any of music opportunities posted there. I am very selective regarding any of music opportunities posted at Music Xray, and I am going to carry on (from time to time) to submit any of my songs for any particular opportunity, hoping that one day, one of my songs it will be picked up by someone from the music industry. The bottom line is: if you are confident what you are doing, and if you are patient to way for you time to came, sooner or later you will get there, otherwise, give up and find something else better to do.